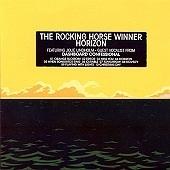 Fronted by Jolie Lindholm, guest vocalist from Dashboard Confessional, The Rocking Horse Winner's Horizon is an absolutely captivating collection of amiable indie pop songs. With her voice carrying the songs, the warm, vibrant numbers ring in your head, completely taking your breath away with their majestic beauty. Hook-laden, but not to the point of annoyance. Sugary sweet and capable of being both slumbering and upbeat and rocking, the band manages to create a subtle, satisfying record that can jump from a completely rocking song to one that will put you completely at ease, all without breaking a sweat. This is a golden indie record that will soon become one of your favorites. I'll give it an A+.